If you read only one book based on my recommendation, then make it this wonderful wonderful memoir. Jackie Kay is a black, lesbian poet who was raised by her adoptive, communist parents in a small, predominantly white town in Scotland. This memoir covers her journey to find her biological parents. But that description does not adequately capture Jackie Kay’s warmth, wisdom and humor in taking on issues of identity, of nationality, of ethnicity and, most importantly, of what constitutes family. This book is by turns laugh out loud funny, heartbreaking and heartwarming. I am now officially in love with Jackie Kay and I think if you read her book, you would fall in love with her, too. It’s not even possible for me to do justice to how amazing this book was, to how it made me laugh and cry, to how it made me feel just a little bit wiser, to how enriched I feel for having read it. All I can do is urge you to read it. Thomas Lynch is an undertaker/poet in a small town in America, and seems to be very good at both his jobs. In these he ponders, with humour and sadness, the often-misunderstood business of burial and its large-scale takeover by faceless corporations, Western notions of death and ritual, and the ties that make up homes and communities. He also discusses how much he hates his son’s cat and what he does when he doesn’t like poets. Lynch is a talented story-teller, even making statistics and business information interesting, but it is his musings on the Big Questions, fate and fear and life and death that make this book worth reading. 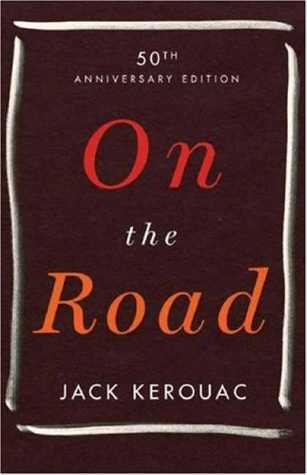 It isn’t uplifting in the conventional sense, there’s far too much realism and occasional bitterness, but it’s an enriching read that exudes camaraderie, leaving you feeling as if you’ve had a great and rambling conversation with a very intelligent and funny person down at the pub (although Lynch quit drinking-alcoholism in his life and family are the subject of one essay). This book exhausted me. Writing this review exhausted me. I didn’t love it, but I didn’t hate it. It’s not my bible, but I understand why other people worship it. If you’re in the mood to read an enormous review of my thoughts about a book’s reputation and then read about the book itself, make sure you’re super comfortable, and then head on over to my blog. For those of you who love this book, I welcome you to comment and explain why I’m an idiot. For those of you who hated it, add your comments as well. Let’s get into a book fight! I picked up this book at the conference a couple of years ago, and I like to pull it out and re-read it every so often. I found myself with some Sustained Silent Reading Time at school this year and with no book to read, so I grabbed this off my shelf and read it again. It’s perfect for our reading time because we only have these little 20-minute units three times a week, and Not Quite What I Was Planning was easier for me to bookmark and walk away from than a novel. The book is, as the title suggests, a collection of six-word memoirs sent in to Smith magazine. If you’ve ever set yourself to the task of saying something significant about your life in exactly six words, you’ll really appreciate the memoirs gathered here for their insight, humor, and tragedy. These writers, both the “Famous” and the “Obscure,” manage to convey something meaningful in their six words. Some of my favorites include Mario Batali’s (“Brought it to a boil, often”) or Sabra Jennings’ (“Extremely responsible, secretly longed for spontaneity”), which may cut a little close to home. Some of these little memoirs gave me a brief glimpse into a life completely different from my own, and others some of them feel almost too familiar. This is a nifty little book which makes me think about life and language in new ways. I was a waitress in college and I LOVED it. It’s such a hard job, but so satisfying to walk away every night with a wad of cash. I’ve always thought the world would be a little bit of a better place if every person had to spend six months of their life as a waiter or waitress. You literally learn to deal with every type of person whether as a customer or as a co-worker. I picked up this book at a used bookstore and was hoping it was better than the behind-the-scenes book I read last year about the cruise ship waiter. It was okay, but focused more on the writer’s personal life than his actual job. 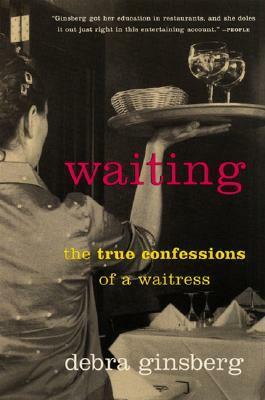 Waiting was the waitressing memoir I’d been looking for. Read the full review in my blog. Review Summary: A humorous and relatable story with such great characters it’s hard to believe they weren’t invented just for this book. What do you do if you have everything you “should” want and are still unhappy? 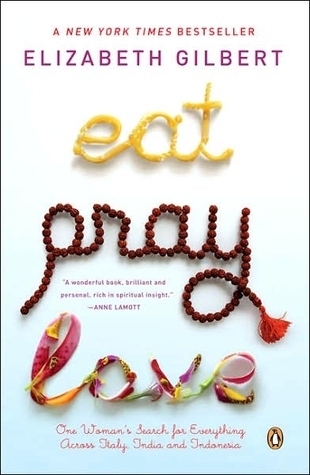 In Eat, Pray, Love, Elizabeth Gilbert shares her story of leaving it all – a promising career, a comfortable home, and even her marriage – to travel the world in search of happiness. Like Cecilia Ahearn, I expected Elizabeth Gilbert to be too “girly” or emotional of an author for me and was pleasantly surprised. Of course, the book includes many emotional topics, such as the author’s agonizing divorce proceedings, but she describes everything in a relatable, humorous way. She comes across as very down-to-earth and comfortable laughing at herself and never became too angsty. Read more on Doing Dewey.